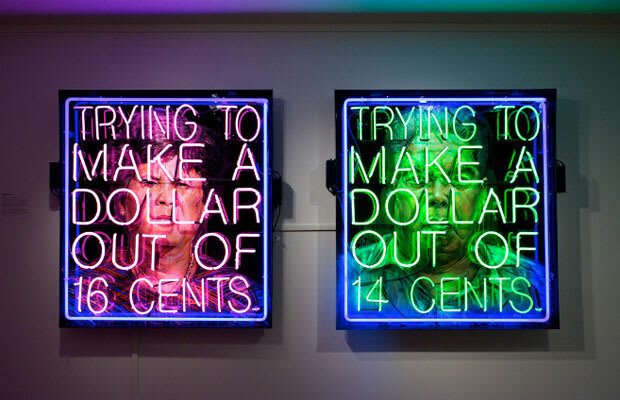 Mixed Media on Acrylic Plex Panel and Neon, 2010. "A portrait of my mother and my father, inspired by the current recession. They are always on that paper chase, especially these days."